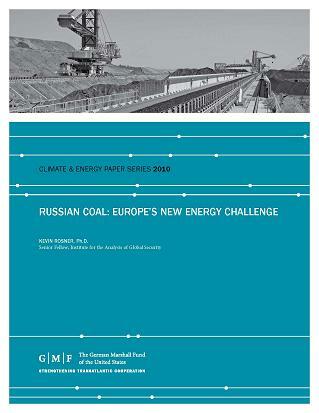 • The report’s author, IAGS co-director Dr. Gal Luft, calls on Europe to strike a better balance between environmental and energy security strategies, adopting a more positive sentiment toward currently rejected sources of base load electricity like coal, nuclear power and unconventional gas. • He also argues that while diversifying the European electricity sector away from Russian natural gas is a worthy goal, diversification of transit routes, especially lessening the dependence on Ukraine, which has proven to be an unreliable transit country, should be of higher priority. He also calls for a grand bargain with Turkey, one which on the one hand supports Turkey’s aspirations to become a land bridge for Caspian and East Mediterranean energy while on the other persuades Turkey to facilitate the transit of LNG tankers through the Bosporus. • The IAGS report also calls for the creation of emergency stockpiles of natural gas based turbine fuels managed by the IEA to hedge the risk of supply disruptions or fuel price spikes. 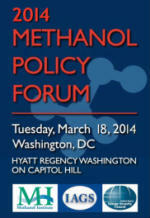 The natural gas-derived alcohol fuel methanol offers a simple and economic way to store natural gas in liquid form, similar to the way crude oil is stored. • The report challenges G-7 leaders to address the global problem of natural gas flaring, noting that the amount of gas that is currently going up in flames worldwide is almost equivalent to the amount of gas the EU imports from Russia. IAGS believes that G-7 countries can help end this wasteful practice by advancing the commercialization of gas capturing and liquefaction technologies including the development of small and easily deployable systems that can reach wellheads in remote areas where natural gas pipeline infrastructure is missing. • On the issue of oil the IAGS report points out that Russia’s economy depends much more on the exports of crude oil than those of natural gas. To reduce the strategic importance of oil the report calls for opening the transportation fuel sector to competition by opening cars to fuel competition so that consumers can choose to purchase another transportation fuel in addition to or instead of gasoline or diesel, whether alcohol, electricity or a gaseous fuel like compressed natural gas. 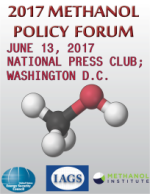 More specifically, the report recommends that automakers in the United States, Europe and Japan should be given the option of meeting a significant part of their existing fuel economy obligations by making most of the new vehicles they manufacture in a given model year fuel competitive vehicles. “Collectively G-7 countries are home to 45 percent of the world’s vehicles, and together they hold 40 percent of the world’s automobile manufacturing capacity,” the report says. As such they can determine the type of vehicles that will be sold throughout the world. • In light of Russia’s latest $400 billion gas deal with China and its intentions to expand its market to India and the Korean Peninsula, IAGS offers a number of recommendations aimed at countering Russia’s “Pivot to Asia,” most importantly through a concentrated effort to shift Asia’s gas market from oil indexation to gas-to-gas competition and promote the establishment of at least one regional trading hub. 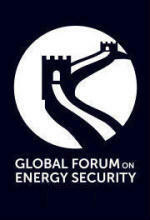 • Finally, the report warns that the G-7 governments are losing the competitive edge over Russia in at least two important energy frontiers: nuclear power and the Arctic. “Throughout G-7 economies the nuclear power industry is being squeezed out of the energy marketplace while hegemony over nuclear technology is gradually shifting to the east. Without continuous development of know-how and technical infrastructure by the transatlantic community it will be China and Russia that will become the world’s hubs on all nuclear matters and it will be in those two countries, not the G-7, where the best practices and safety standards of the new generation of nuclear reactors will be determined,” Luft writes.